You have the right to choose where your vehicle is repaired, Choose Harold's Auto Body! Don’t deal with a big-box auto body shop. Get in touch with Harold’s Auto Body of Boise, Idaho today and see what we can do for you. Click here for all of our contact information. 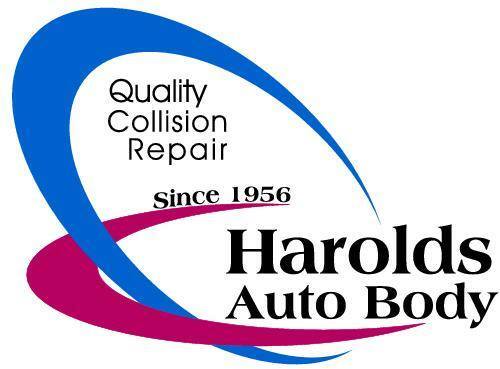 Harold’s Auto Body is a trusted collision repair and general auto body shop in Boise, Idaho. For over 60 years, our shop has repaired thousands of vehicles for drivers in the area. You can trust our experienced auto body team to provide you with a high-quality repair in a short amount of time for your convenience. From small dents and dings to rebuilds, we take care of it all. It doesn’t cost any more to come to an independent auto body shop instead of a big chain for your collision repair in Boise. You have a choice – so choose an auto shop that will treat you right. Bring your vehicle to Harold’s Auto Body of Boise today and rest easy knowing it’s all going to work out. For over 60 years, we have been dedicated to achieving customer satisfaction. Collision repair technology has come a long way since we first opened in 1956. We make accident repair work as hassle-free as possible at our convenient location in Boise, ID. We offer free pickup and delivery, flexible hours, direct insurance billing, towing service, and lifetime warranty. Our written warranty on all collision repairs documents our commitment to restoring your vehicle to its original condition and earning your trust. Harold’s Auto Body instills rigid certification standards and ongoing training programs to ensure that your vehicle is repaired by qualified, professional technicians using only the most current techniques and products. We provide first rate service and collision repair in Boise ID.